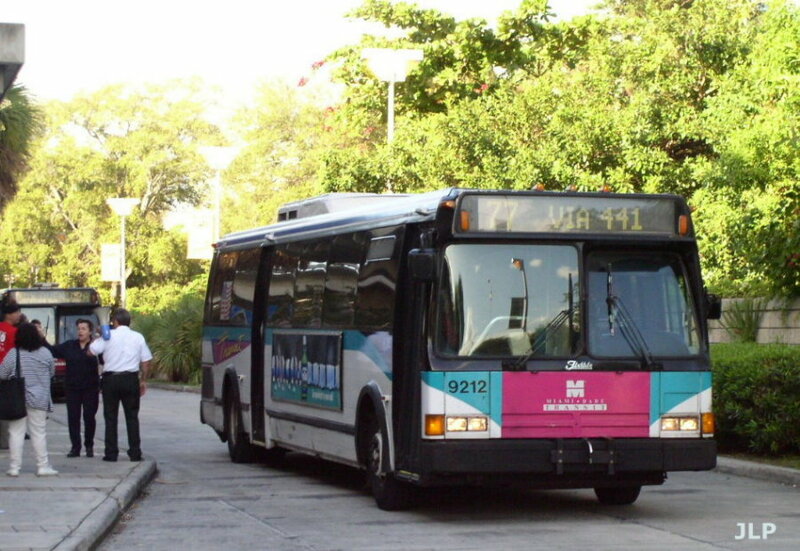 The 9200s was a test bed for alternate fuels. Buses 9201-9215 went to Central and then Northeast and were powered with CNG engines. Bus 9206-9210 went to NE and had the Cummins M11 diesel with particle traps on the exhaust. 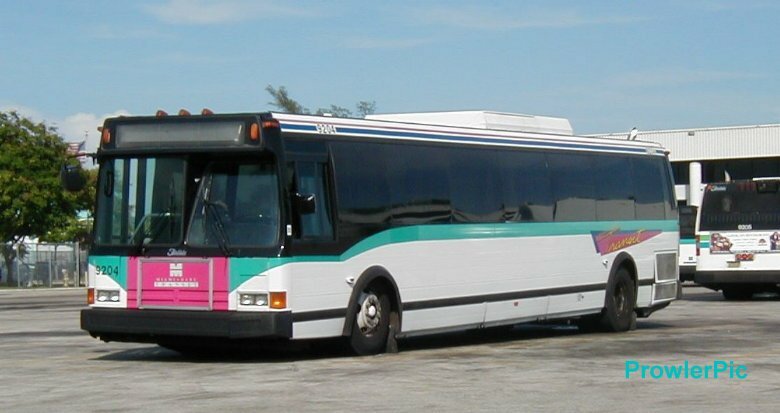 Bus 9211-9215 had the Detroit Diesel 6V92 running on methanol fuel. The methanol buses were the first to fail. Serious mechanical issues developed and the buses were parked in 1993. Some five years later, they were re-powered to diesel and returned to service. The CNG buses were extremely slow and had trouble climbing normal grades such as bridges and expressway ramps. They were put on the shortest of trippers for a few years and eventually parked and repowered with Cummins M11 diesels. The particle trap buses remained in service throughout their service spans, but the traps were modified and eventually removed. They all came with the ZF transmission and Sutrak roof mounted AC units. They were retired in 2004/2005. Bus 9204 after conversion to diesel. Bus 9212 on the 77 line at Culmer Station.